Remember when your mom told you to turn off the TV and go outside because it’s good for you? She had science on her side. Being in nature soothes us. It’s a chance to step away from everything that’s going on in our heads and slow down. It’s the ultimate antidote to our busy, tech-centered lives. Getting transformed by the outdoors is a movie cliché for a reason. Images of nature can take us back to those moments and help us recall feelings of relaxation and belonging. That’s why when it comes to stock footage, there’s nothing quite as versatile and multi-purpose. There are very few kinds of video where natural scenes of the ocean, pristine trees, or icy-cold mountain lakes will seem out of place. 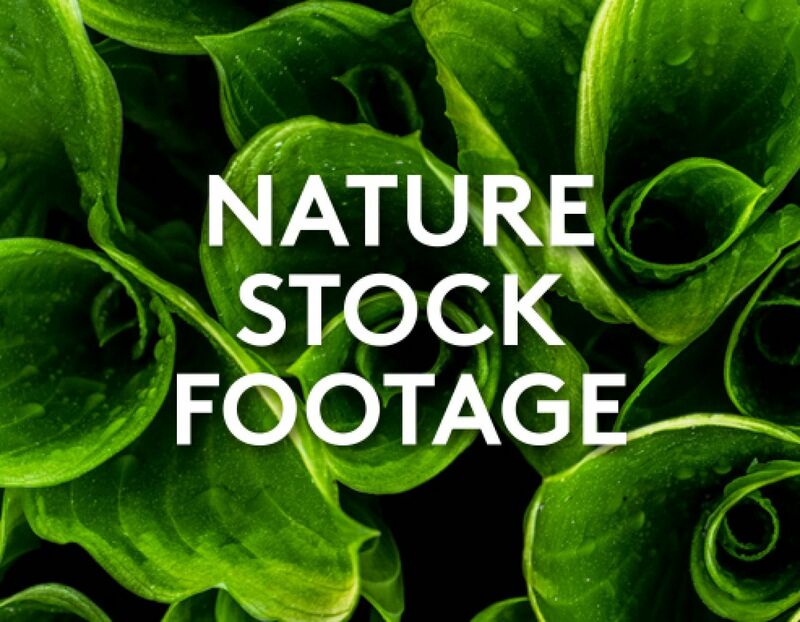 Premium Biteable users get access to a wealth of 85,000 stock footage clips to use, including plenty of stock footage of nature. Let’s take a look at some stunning nature video clips you can use in your next Biteable video to add a certain something. Educate: Make videos about the geological wonders around the world or create educational materials around vital natural reserves. Or, tell your viewers about the science behind nature’s relaxation-inducing powers. Add a dose of calm to your video: Clichéd though it is, nature has a calming effect. Nature videos can help put viewers into a more relaxed state of mind by reminding them of peaceful times. Inspire: Use beach scenes to remind your audience of the things that matter. You can set scenes to music or add your favorite quotes from great poets, philosophers, and individuals you admire. Raise awareness: The sea is breathtaking, but it can also be terrifying. You can use evocative scenes to raise awareness about important issues such as depression or the potential effects of major sea level changes. Those of us who grew up on the coast have a special relationship with the ocean, the salt air, the changing nature, and the creatures that live in the depths. It’s where life started and where so much of it still calls home, and of course, it produces most of our oxygen. Create educational materials: Whether you tell people about the ocean’s cleansing effect on the air or the dangerous effect pollution and waste have on thousands of essential species, you can find the footage to help. Share inspiring stories: A lot of great discoveries started with a journey on the ocean. Whether it’s the story of how the Maori explorers reached New Zealand on a long dangerous voyage in canoes or how the Vikings explored Europe and beyond on their longships, the ocean and human history are intrinsically linked. Share some of these exhilarating stories with your class or your peers. From the extensive pine forests in the world’s colder corners to the lush deciduous forests and tropical rain forests, trees play a huge role in our lives. They’ve been one of the single most important natural resources through history: they provide fuel, building materials, and sustenance. Tell scary ghost stories: Is anything creepier than an ancient forest covered in fog and moss? Use the scenes in creative classes to encourage students to tell powerful stories using a combination of images and words. Spark a love for animals: Forests provide a unique habitat for a huge percentage of mammals. Pandas depend on bamboo and koalas subsist on eucalyptus leaves. Use the footage to tell stories of habitats, diets, and preferences. Back in the 80s, researchers ran a study in a small rural hospital in Pennsylvania comparing recovery times of patients who went through gallbladder surgery. What they found was profound, if not really surprising. Patients with rooms facing the verdant courtyard recovered faster and felt better throughout the process than those with rooms facing a brick wall. Just seeing nature on a daily basis had a measurable physical effect. Consequent studies around the world confirmed the power of nature. As more people move to urban centres because of work and amenities, it’s easy to embrace life in the urban jungle as the norm. Nature videos can show us what’s beyond and remind us of life beyond the concrete. Beautiful nature videos created with HD nature scenes can fit any occasion. They can help us slow down. We’ve got all sorts of nature stock footage, including verdant fields, impossibly clear lakes, and snow-covered mountains. With Biteable Premium HD nature footage you can find what you need.